Charles and Ray Eames are design legends as we all well know. Their designs have survived the test of time and feel as fresh and interesting now as they did when first developed. 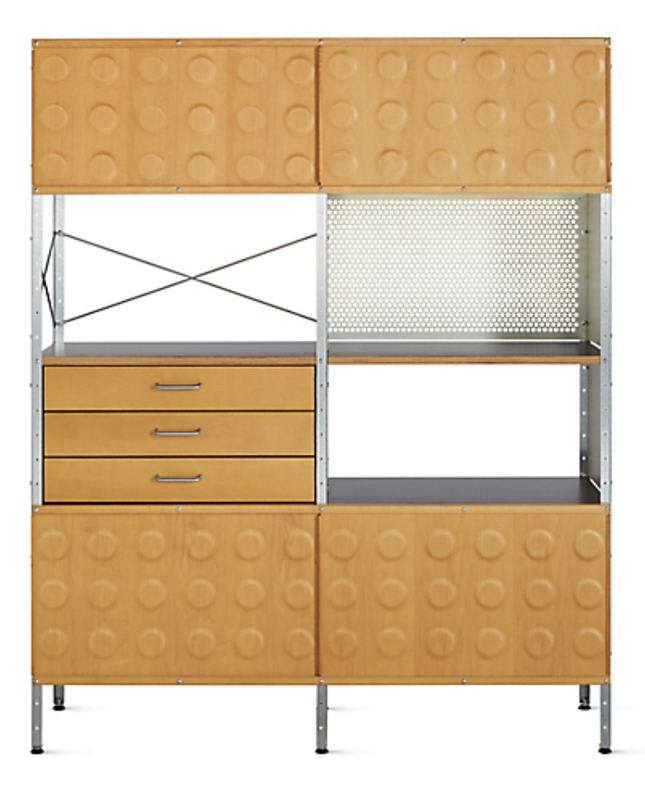 It’s hard to do a project that doesn’t call for a little or a lot of Eames. They’re functional, durable and interesting to look at. Below we outline the expansive Eames collection and the pieces that seem to find their way into our projects time and time again. 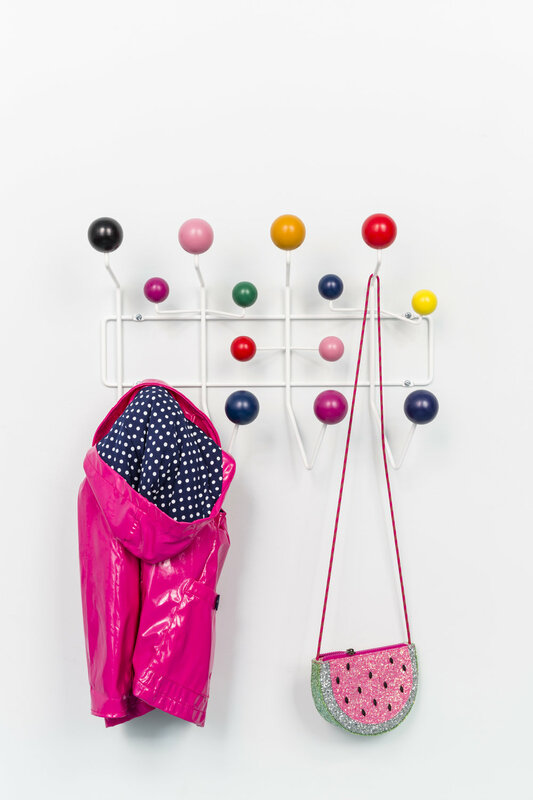 Eames Hang it All hooks- whether you do one as a stand-alone or a few in a row these hooks have so much versatility. Small and big, different depths and placement. All white, all black or multicolor. While having a small footprint on the wall, you get a lot of hanging possibilities for items! Here we used it in a playroom for one of our littles clients to hang her bags and coats/dress-up clothing. 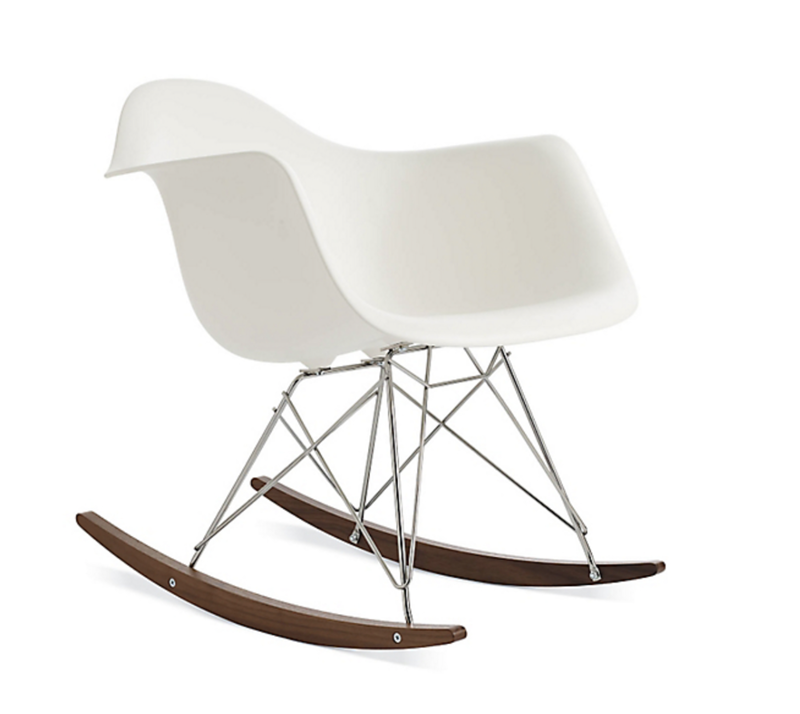 Eames molded plastic armchair rocker – the smaller scale of this chair allows it to fit into many areas (even small ones with limited floor space for us New Yorkers). We’ve used it in kid’s rooms, adult spaces, and in the non-rocking version we’ve used it for desk chairs, dining chairs, you name it! Another added bonus for this chair is the seat material- it’s totally cleanable so it works great in kid’s spaces. Even little ones find these chairs cool. 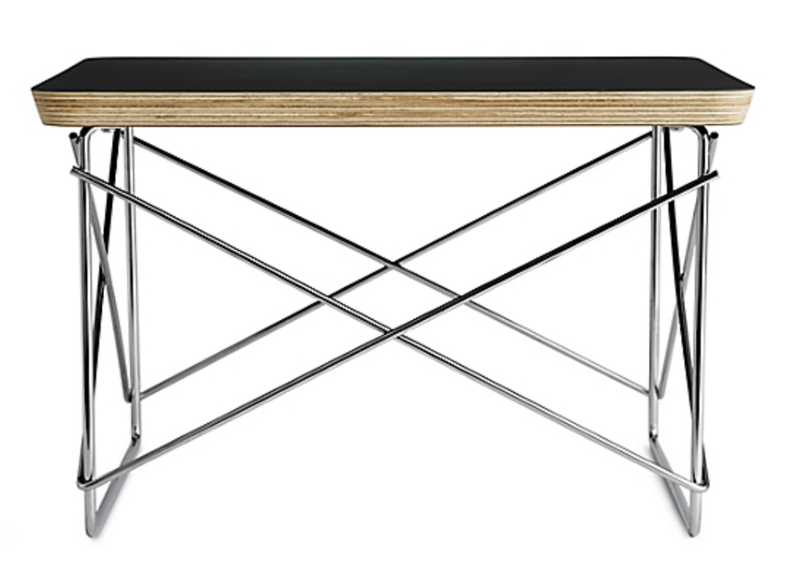 Eames wire base low table is so versatile! We’ve used it in front of sofas as a drinks table, we’ve used it as a stool for kids, we’ve used it in front of nightstands for an additional surface to lay a book or glass of water down. This table’s scale is super fun and allows for it to really sit anywhere without being in the way. It adds an additional layer to the design that’s great in the finishing/accessory phase. If I was stuck on a desert island and could only have 3 things this chair and ottoman combo would be on my list- no lie! I’ve never sat on a more comfortable lounge chair in all my years of, well, sitting on a lot of lounge chairs! The chair is interesting from all angles, especially the back. Because it rotates around you get to see that part of the chair a lot more than you would another chair. The ottoman is also versatile and can be used with the chair or in other parts of the room. For example, we’ve moved it near a window seat in the past and had the chair on the other side of the room. Whether together in perfect harmony or balancing a room on opposite ends, do yourself a favor and treat yourself to one of these or at least take a quick break in one at Design Within Reach! This piece is seriously cool and seriously good for hiding your crap! In this project it perfectly holds all the overflow of kitchen gadgets, laundry and dog walking supplies and the clients display items. It’s different size and shape compartments help make it very versatile and visually interesting on its own. This cabinet is a perfect mix of utility and beauty. Which piece is your favorite? Share your thoughts in the comments below. For more information about our interior design services, visit our Services page or contact us.